It is believed that one of the reasons why Twitter grew so well to become one of the most popular social media platforms, is because of the third-party apps developed around it, to compensate for the things that the official app did not offer, as well as to give special features to specific kinds of users. In a very short span of time, Twitter users were served quite a lot of interesting and efficient apps on a silver platter, which most definitely spoiled them, but added to the usage of Twitter and the loyalty towards it. Here are some of the apps that users can try, when they feel that they are getting ‘incomplete’, or a ‘not so perfect’ kind of experience with their official Twitter app. 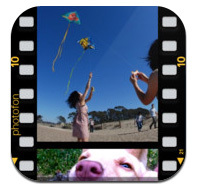 Photofon – For the photo-loving Tweeter! Regular users of Twitter, who share and like to view pictures on this social media platform, face a major problem with the official app. The shortened links to the pictures on any Tweet open up in the default browser, thereby become annoying at times, and hampering the smooth flow in interactions and browsing. Photofon sorts out this problem by letting the users view the pictures on the timeline itself. The app is available for free download from the iTunes store, and it supports pictures from Instagram, Twitpic, Flickr, and a few other platforms. Tweetsmap – For the location-sensitive Tweeter! This app lets users know, to what part of the country or the world do their followers belong, by seeing them in an interactive map. This is ideally good for small business owners or brands to find out from what part of the country, or from city, they get the maximum loyal fans and followers. It’s easily downloadable via the Internet, free of cost. Tweets Between – For the gossip-loving Tweeter! If a user is interested in finding out what two fellow users were talking about sometime back, when he/she was not online, or missed on the fellow users’ tweets on the timeline, then Tweets Between helps to recover those conversations between the fellow users. One simply needs to put the Twitter IDs of the two fellow Tweeters, and the search can help the person to recover their entire conversation on tweets, which the person missed earlier. This app can be downloaded for free, via the web. Slices – For the organized Tweeter! This app helps in clearing out all the mess that can appear on one’s timeline, with too many tweets from too many people. It basically categorizes the tweets into various sections, so that the user can check them as per interest. Moreover, it also recommends people to follow, via the Explore tab, which again divides the suggestions under categories, such as Celebrities, Local, News etc. There is also an option to choose from the trending topics, locally or around the world, thereby giving a very organized browsing experience to the user. The app is available on the web, Google Play, and on the iTunes store for free download. Other third party apps worth trying are Twicca, Twitflink and TweetCaster. SoundGecko : Why Read When You Can Listen ? Wow, so good & amazing Applications, i like your information, thanks to sharing nice post.